I love perusing virtual home tours. 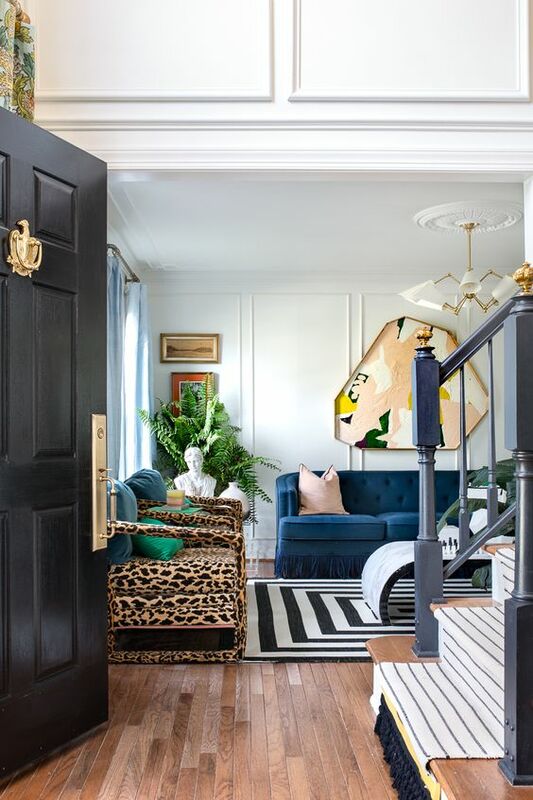 Even if the home isn't quite my style or colors I prefer, there's always an idea here or there that I can glean to apply in my own home. 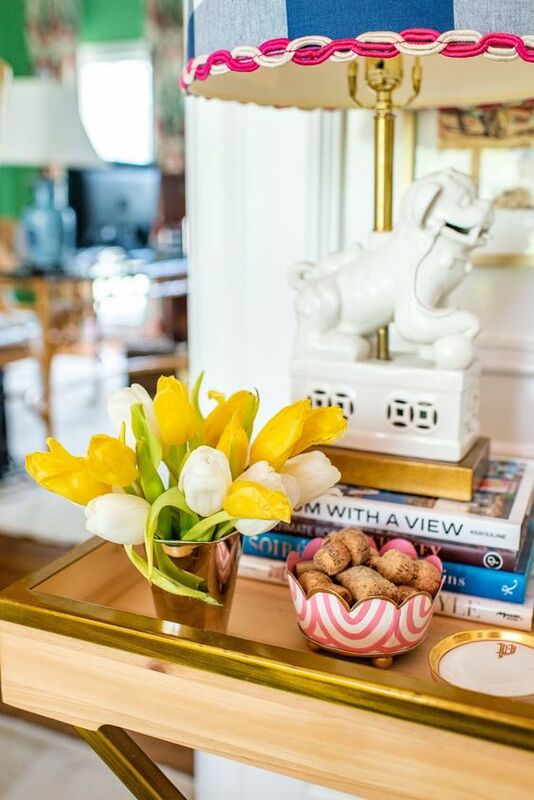 Our "It's a Colorful Life" Spring Tour just happened to be packed full of homes that love color and pattern like I do, so the ideas and inspiration were extra plentiful! Today I thought I'd share one takeaway from each of the homes in our tour that I thought was a great idea and might be something you could do in your own home. Let me know in the comments if there was a particular idea that you picked up from one of the tours and want to implement in your home, maybe even something different than one I highlight! Jeweled Interiors- Look closely in the bottom corner... a bit of fringe added to the bottom of a stair runner is an added little touch that makes Jewel's space even more special! At Charlotte's House- Charlotte's house is packed full of ideas, but here's a simple one. This is totally a "why didn't I think of that" moment, but... rainbow taper candles! Why stick with just one color? 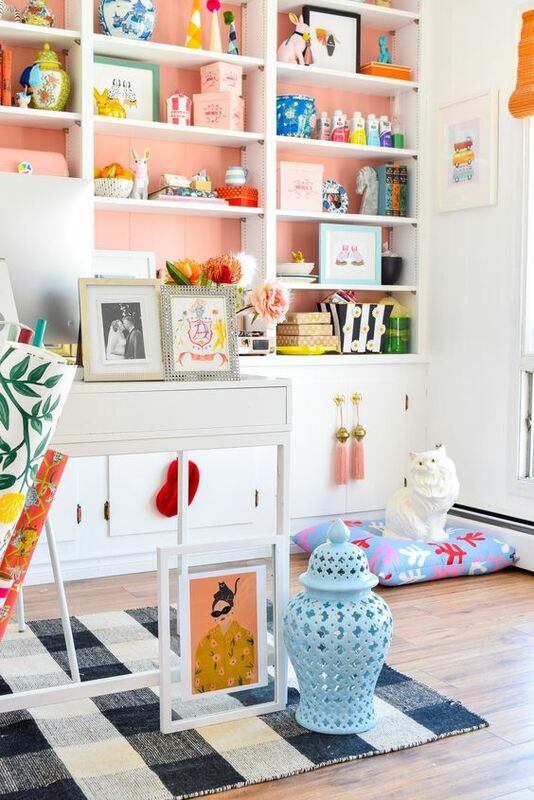 Pencil Shavings Studio- Use a ready made shelf and bins that coordinate with your space for extra storage in your kitchen/breakfast nook. This also helps fill up a big blank wall! Kate Decorates- Use a combination of color and black and white prints on a feature wall, but group them together by tone. 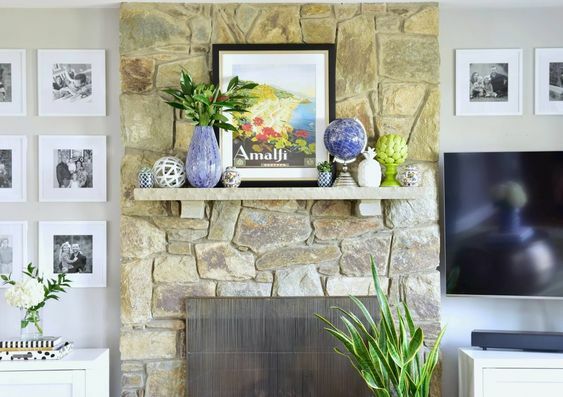 I love how Kate kept the fireplace mantel section of this wall colorful but everything on the sides is more neutral and black and white. It really adds some definition to each space and helps keep it all from being too busy looking- not that there's anything wrong with that ;). Monica Wants It- Add casters to a piece of furniture that might need a bit more height. I remember when Monica found these awesome bamboo side tables, but they were a little too short for her needs (as vintage furniture often is). 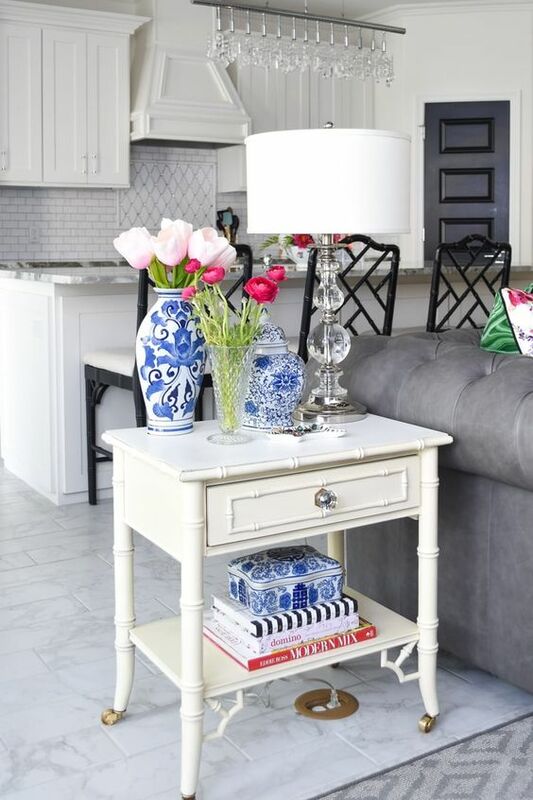 By adding casters, she not only added height but some major style as well! 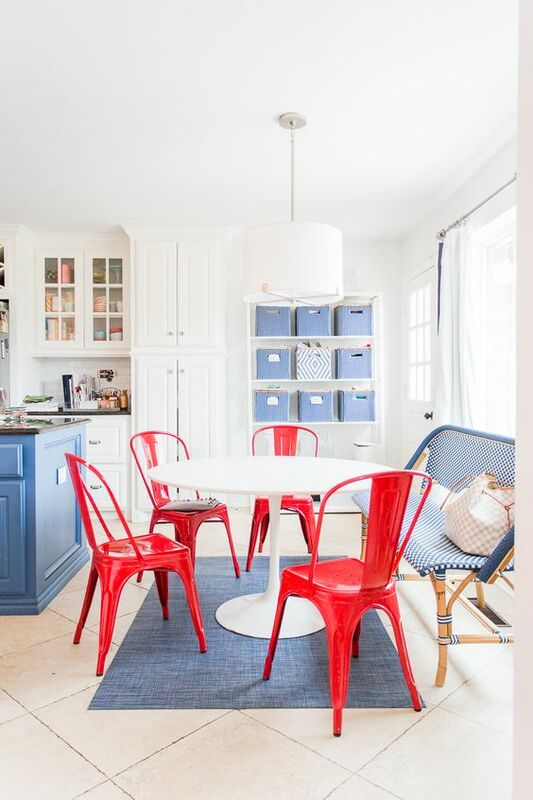 I did the same with my vintage cane wingback chairs that needed more height to better fit at my Dining Table. Ebay is a good source to find casters. 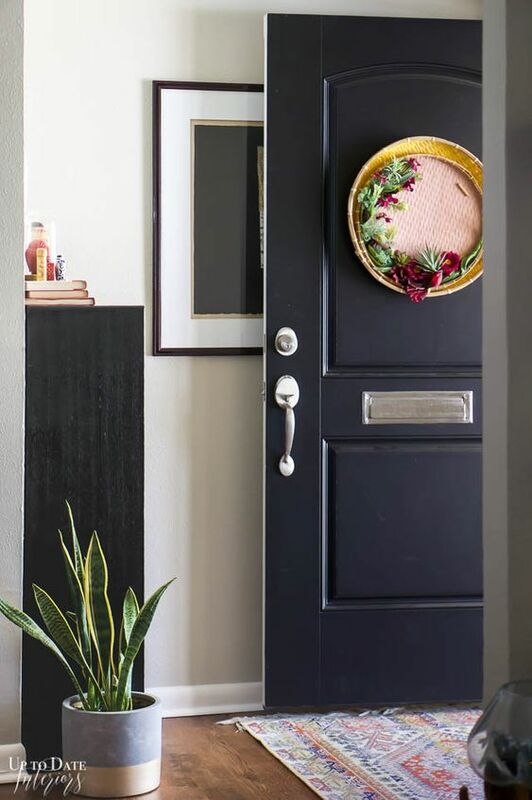 Up to Date Interiors- Repurpose shallow basket trays as a front door wreath. Or even better, layer two together! This is such a clever idea that would be simple to replicate on a budget with a quick trip to the thrift store. 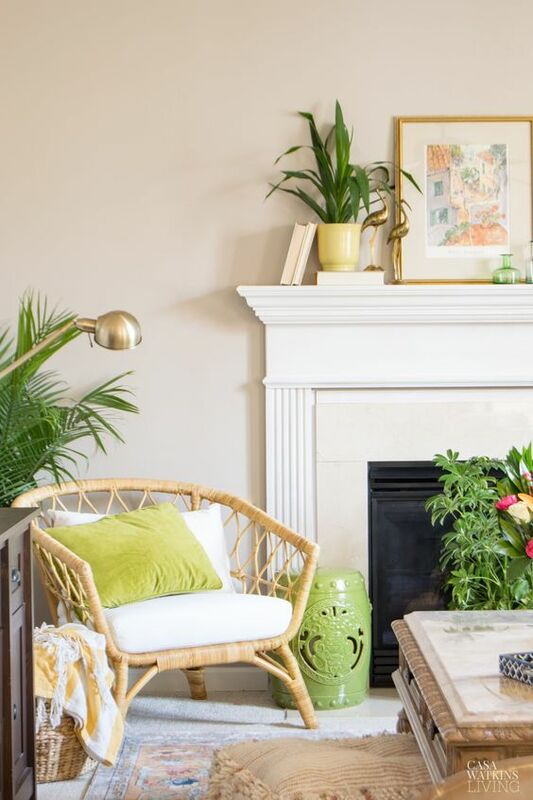 Casa Watkins Living - Load up with green plants for Spring and Summer. 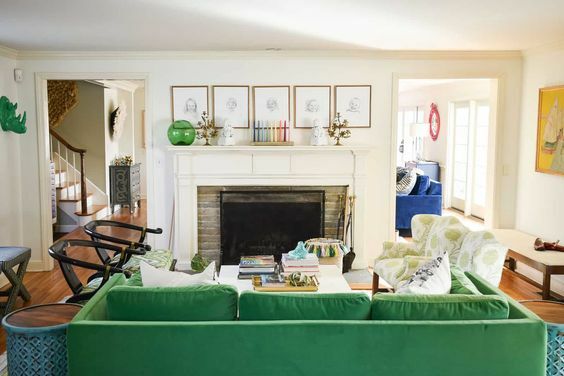 I love how Stephanie is keeping a large green plant on her hearth, an idea I always want to do but never have. Maybe this summer! 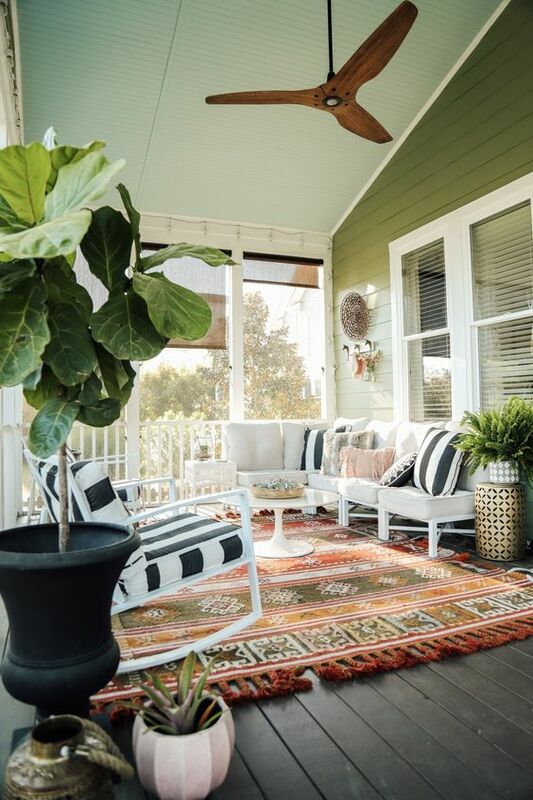 Our Fifth House - Paint your porch or patio ceiling. Bonus points if it's a gorgeous Southern blue! The Pink Clutch- You can barely see it in the corner of the photo, but sometimes the little details are the most fun to discover. Trim (especially when it's this cute) instantly elevates a lampshade and makes it look more expensive. I use tiny drops of hot glue to attach trim to a shade, but if you want something temporary a few adhesive glue dots would work (like I used on this project), then peel them off later if you want to remove the trim. Heathered Nest- Framed fabric that coordinates with the room is a great way to fill a large wall without spending a fortune. Just keep things cohesive like Heather did by painting all the frames (even more budget friendly if they're thrifted) the same color and repeating the fabric pattern. For fun, make one of them a fabric covered cork board to use as an attractive memo board. 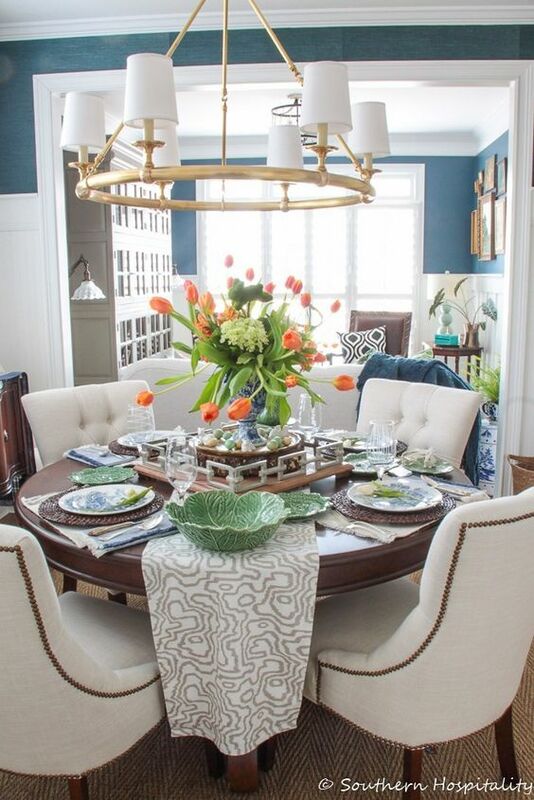 Southern Hospitality- Set your Dining Room table for Spring. It's pleasing to look at each time you walk by, and if you have drop in guests your home instantly looks more pulled together! I normally just keep a centerpiece on my DR table, but since I did this tablescape over a month ago, for the first time I've kept it all set for a longer period of time and I'm surprised at how much I've enjoyed it. We just replace the plates each time we eat a meal at that table and it's ready to go again! 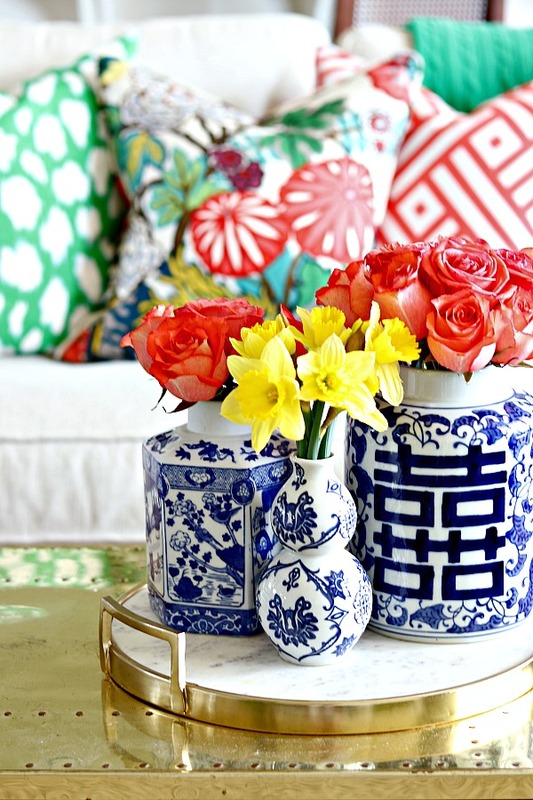 Effortless Style- Lighten up your furniture for the season with bright pillows and throws. Such a quick and easy way to transform a space! SKG Designs- Paint the backs of your bookshelves. 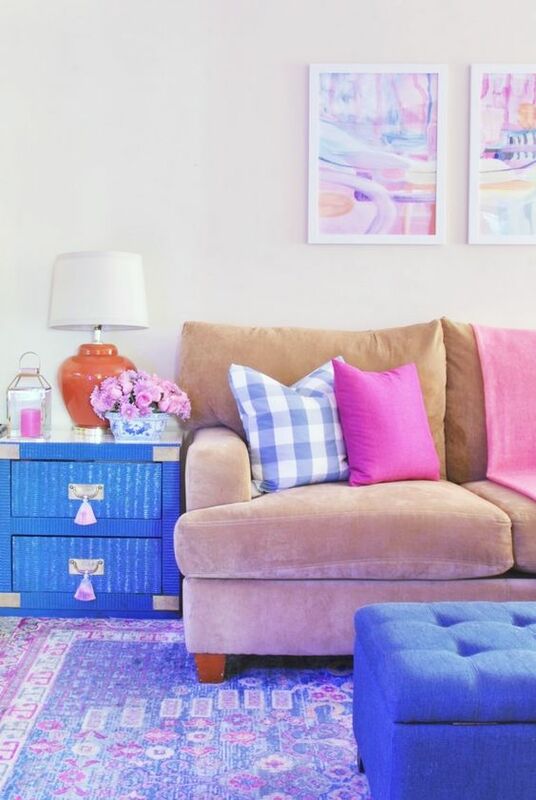 Even a subtle color like the soft pink Sara used adds a warmth and nice detail, or go super bold and paint a bright color or pattern on them like I did! PMQ for Two- Hang a pretty tassel or two to a cabinet or drawer knob. Again... little details make the difference! Alright, let me know what idea spurred some creativity for YOU! 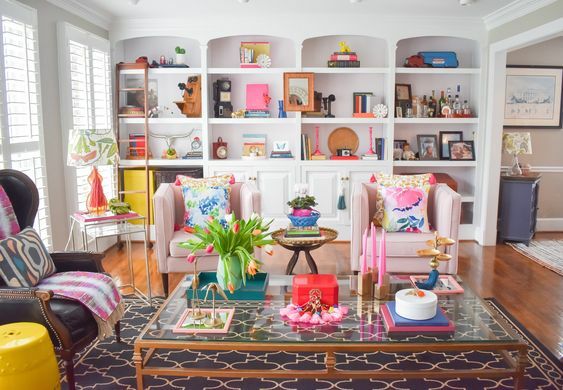 Some really great ideas---I especially LOVE the fabric-filled frame grouping--just stunning! I enjoy it so much when one of your posts shows up in my inbox--always a treat! My sister, Melissa Huddleston, recently joined your church, and I immediately told her she needs to sign up for your emails. Have a blessed day! Small world... she's in my Sunday School class and our daughters are friends. Ha! Thanks so much for following along, Kari!